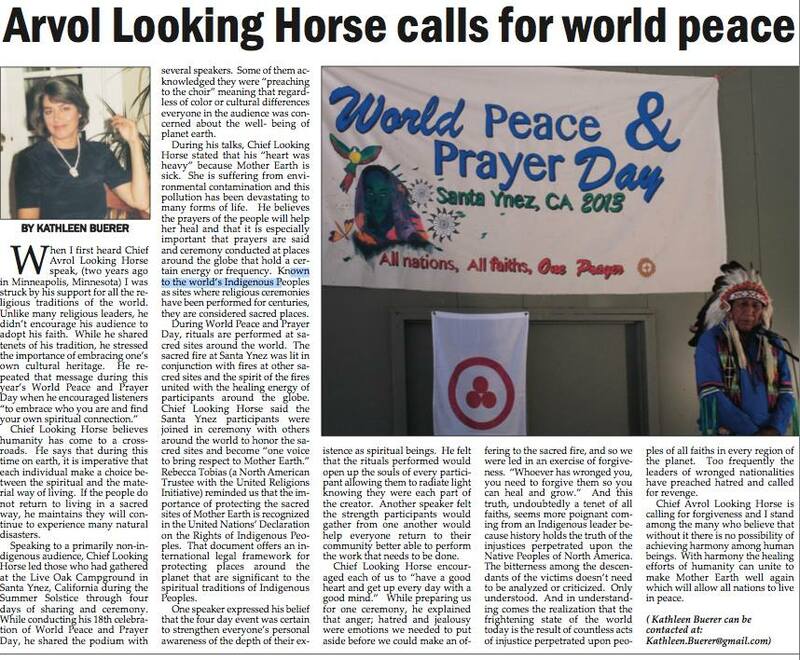 This entry was posted in Raven views and tagged Chief Arvol Looking Horse, Connecting with Spirit, World Peace and Prayer Day 2013. Bookmark the permalink. I pray for world peace. I am concerned about the agent orange that may have been mixed with nucleotides to make BHC 666….it’s a hexachlorapene 6hydrogen, 6 carbon and 6 chloride molecule. They found, by testsing, that this harmed Native American/Asian genes faster than European genes. Perhaps it was meant to kill ‘only’ Vietnamese…They added alpha, beta, gamma and delta isotopes, apparently, and it is fat soluble so it would need chelation therapy (at least) to try and remove it. Any Vets out there, especially and other people concerned about exposure should get tested. the DNR lists our entire aquifer from St Louis to the borders of Oklahoma and Kansas as being radioactive…and our air…above ‘safe levels’. It may be in your area, too. Smoke and prayers and please pass this on to any scientist/chemists/doctors who may be able to protect our next generations since it is now in all of our food, water, soil and air.